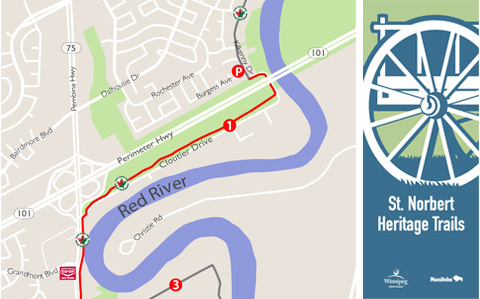 The St. Norbert Heritage Trails (SNHT), are a series of multi-use pathways and sidewalks on quiet residential streets with a spur trail following the primary diking system. The trails cover approximately 9 km and weave through the rich cultural heritage of the community of St. Norbert. 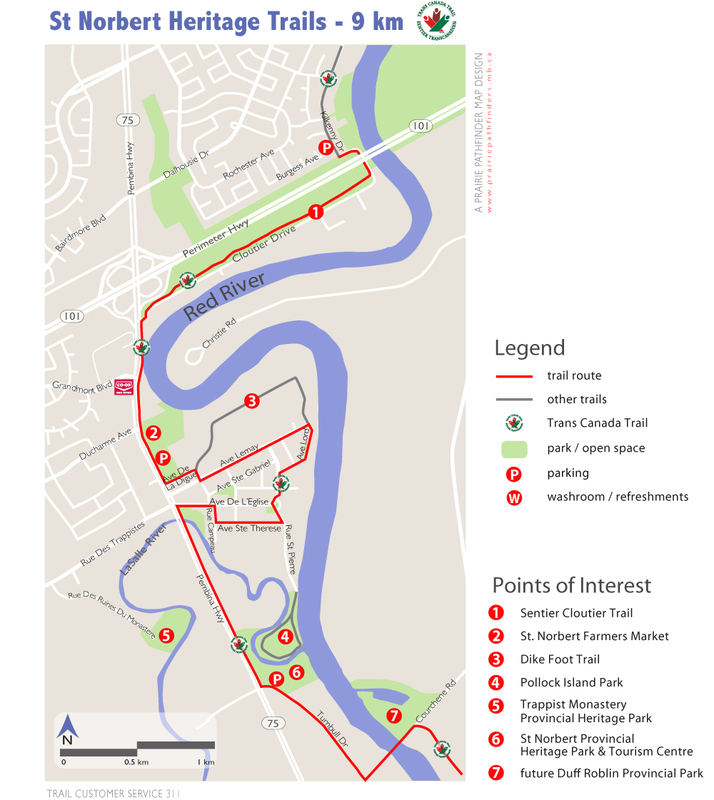 The SNHT is part of the Trans Canada Trail, the longest trail system in the world with boundaries marked by Cloutier Drive to the north and the Red River Floodway channel to the south. St. Norbert is the entrance to Winnipeg, the birthplace of the province, and home of the Red River Floodway gates. This is a unique community with a storied history that includes a past life as a vital trading centre, the starting point for annual buffalo hunts, and a transportation hub beginning in the early 1800s. Named in honour of Norbert Provencher, the first bishop of St. Boniface, St. Norbert has evolved into a picturesque residential suburb that maintains its links to an intriguing history. Trappist Monastery Provincial Heritage Park – Home to the Trappist Monastery Ruins. Duff Roblin Provincial Park – Future park and home to the Red River Floodway gates.